Audi’s next TT sports car will be longer, wider and will have larger interior space. The car is currently undergoing testing and target launch will be spring next year. 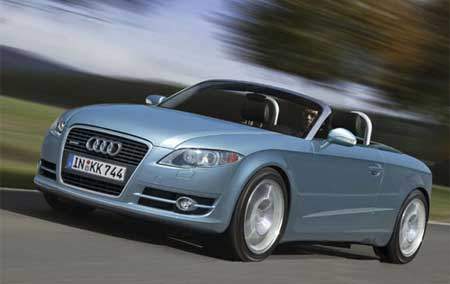 Roadster and coupe versions will debut at the Geneva Motor Show in march 2006. The turbo TT will now feature the 2 litre turbocharged 4 cylinder engine from the Volkswagen Golf GTI instead of the previous 1.8 turbo. The V6 TT will use the same 3.2 litre V6 but it will have DSG pedal shift transmission on top-line models. Previous Post: Rafidah Wants APs Abolished?!? !